AudioSource was founded in 1978 has been delivering high quality audio products to the consumer electronics market for over 40 years. Dedicated to quality, performance and value. Our new Digital Amplifiers set the bar for performance, efficiency and sound quality for Class D amplifiers. Available in both 2- channel and multi-channel platforms. Powerful, versatile and slim lined to work in and compliment any installation. The new generation of Analog amplifiers built on the long standing AudioSource analog platforms will deliver clean power with the highest emphasis on sound performance and quality. Our amplifiers are designed for working in multi-room audio environments. When adding multiple zones to your home using our amplifiers will allow you to deliver high quality sound and power to all zones/rooms. Our versatile platforms will allow you to create infinite amount of combinations to make sure you have what is best for your home. Designing a quality sounding home theater using ATMOS technology often requires an additional 2 channel amplifier or two. Using the many 2-channel amplifiers available from AudioSource can certainly contribute to completing your ATMOS system. Or if you need to add additional channels to your existing receiver for more sound depth in your theater room. Building an outdoor area for entertainment requires additional amplifiers and speakers. When designing your outdoor entertainment living space our amplifiers can help make this experience come alive. 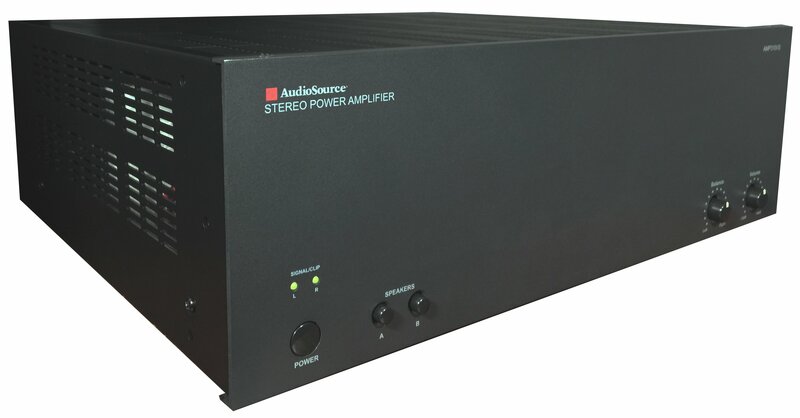 Whether you are adding one pair or 10 pairs of speakers AudioSource amplifiers can provide a solution. NEED HELP FINDING WHAT YOU NEED? DON'T HESITATE TO ASK!